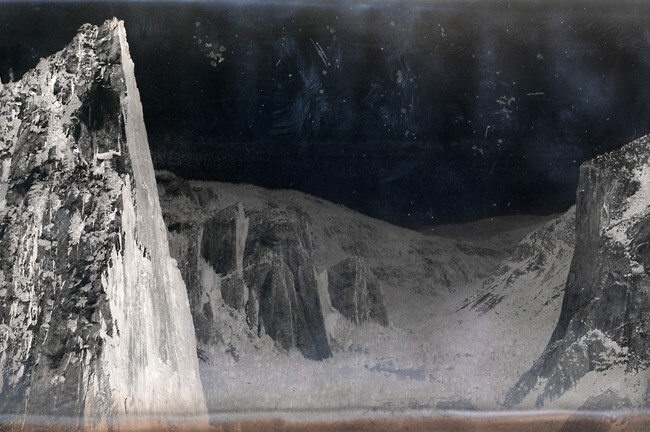 Photographer Noah Wilson, during a artist residency at the San Francisco dump, found and processed early 20th century negatives of National Parks. In the following artist writing, he describes his process in detail. 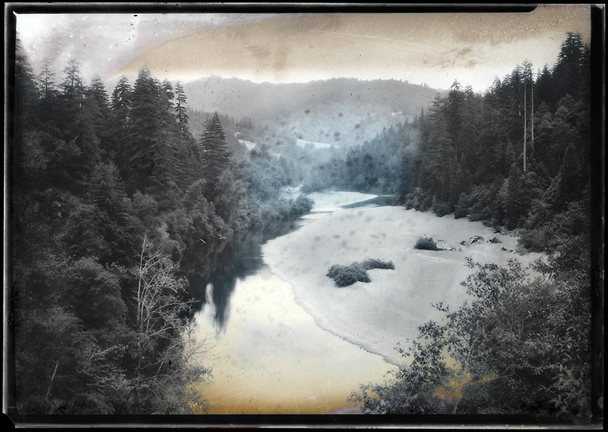 The photographs in this series developed out of landscape imagery appropriated from an archive of early 20th century negatives that I acquired while working as artist in residence at the San Francisco dump. Many of the pictures depict scenes from our National Parks, as well as numerous other locations throughout the American West. 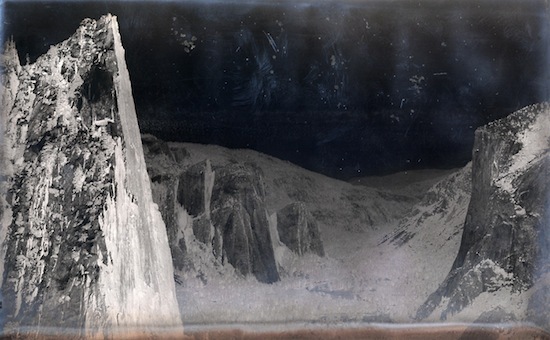 These negatives have a nitrocellulose base (a medium used between 1889-1930s, but replaced in the 1920s by Kodak “Safety Film” because of the early medium’s proclivity to decay and self combust). 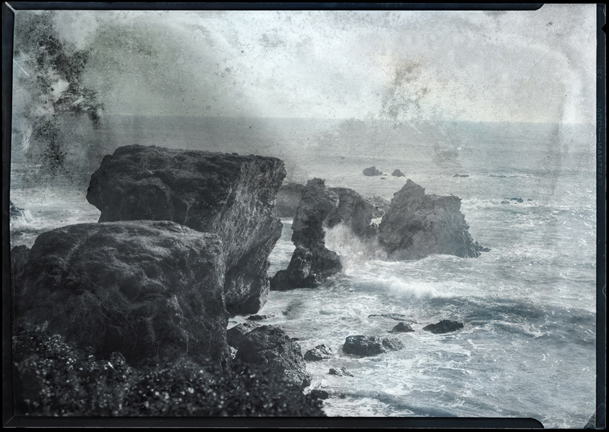 Due to the unstable nature of this film, the negatives exist in various stages of deterioration and distress. 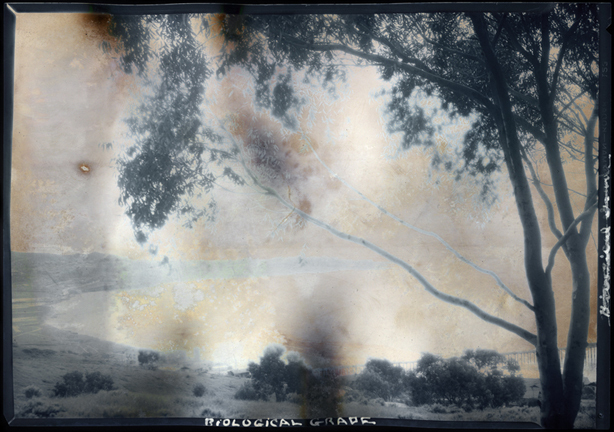 I’ve used a flatbed scanner and sunlight as a backlighting source to record both the photographic information and the surface of the negatives. 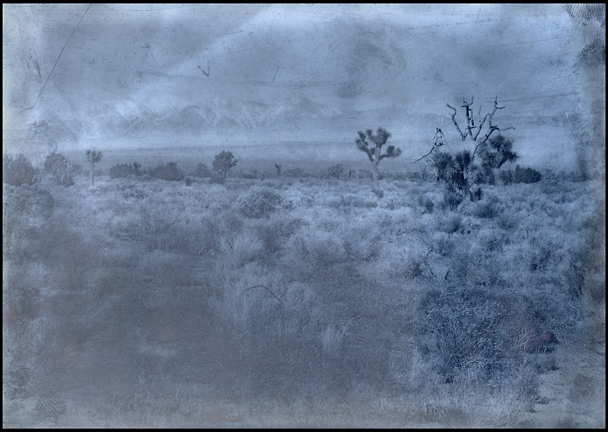 I make several scans of each negative at different times of day, and depending on the quality of the sunlight (diffused or direct), I capture varying interpretations of each negative. Diffused light allows the flatbed to record more of the film surface, and direct light illuminates more of the photographic image. 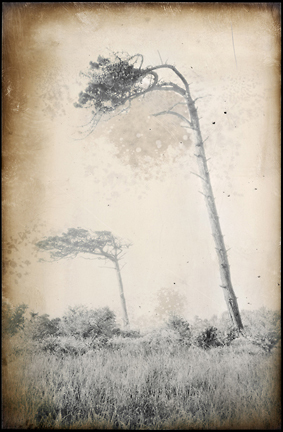 Sunlight and the degradation of the film brings color into these, otherwise, monochromatic images. 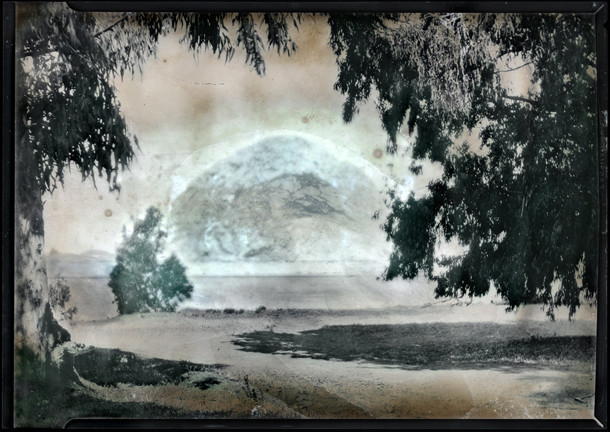 I build each of the pictures out of several scans made at different times of day to create a composite image. 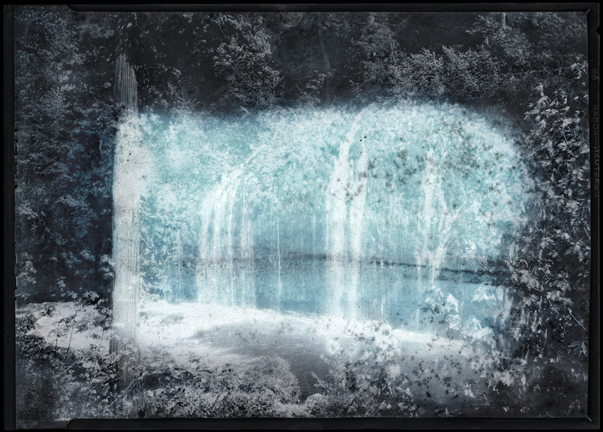 Through this process, I’m interested in reinterpreting these landscape images to show not just the place but also the passage of time, as described in the slow degradation of the photographic medium. Photographic images are static containers, never commensurate with the living, evolving subject that they hold, and in the end, I’m trying to create a picture that describes the place that was photographed as well as the film artifact as an imperfect record. Noah Wilson graduated with an MFA from San Jose State University and a BA in Art History from Humboldt State University. He’s had solo exhibitions at Haines Gallery and Dolby Chadwick Gallery. 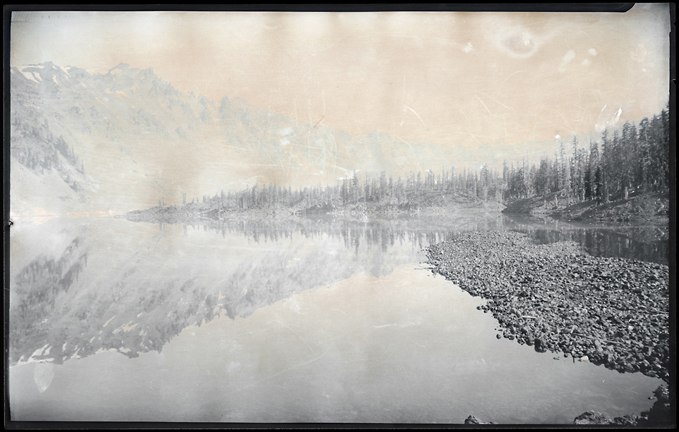 In 2010, he was awarded a Joan Mitchell Foundation Fellowship allowing him to travel, photograph and attend a residency at the Vermont Studio Center. Locally, he’s worked as Artist in Residence at Recology (aka, the San Francisco Dump), and he’s maintained an active residency at Kala Art Institute in Berkeley for the past two years. 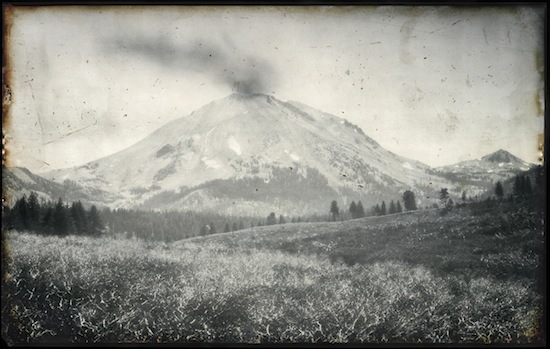 In 2011, he ran a successful Kickstarter campaign to fund photographic research in Montana and Wyoming for his ongoing Ground Truthing project. 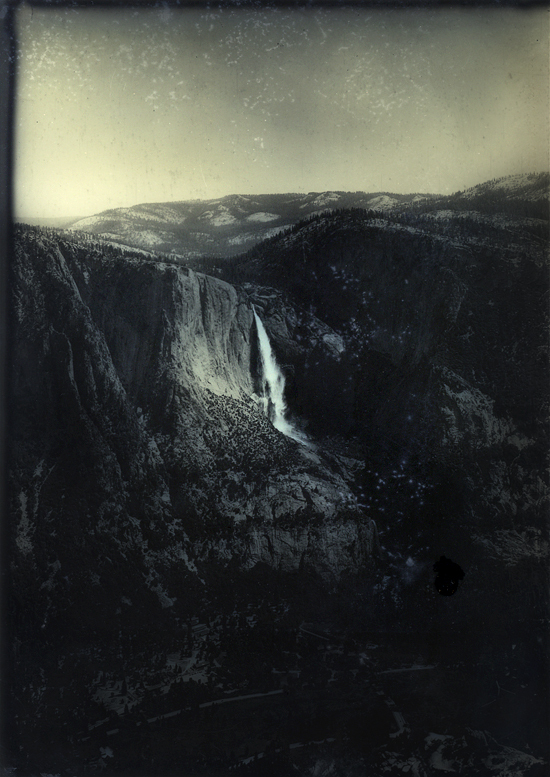 He is currently developing an edition of prints for SF Camerawork’s fine print editions.